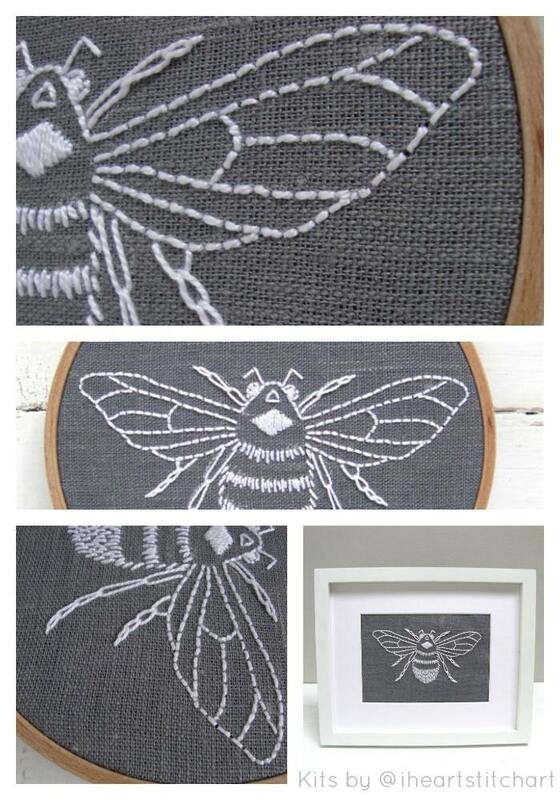 This embroidery kit features a bumblebee design to stitch on beautiful natural linen. 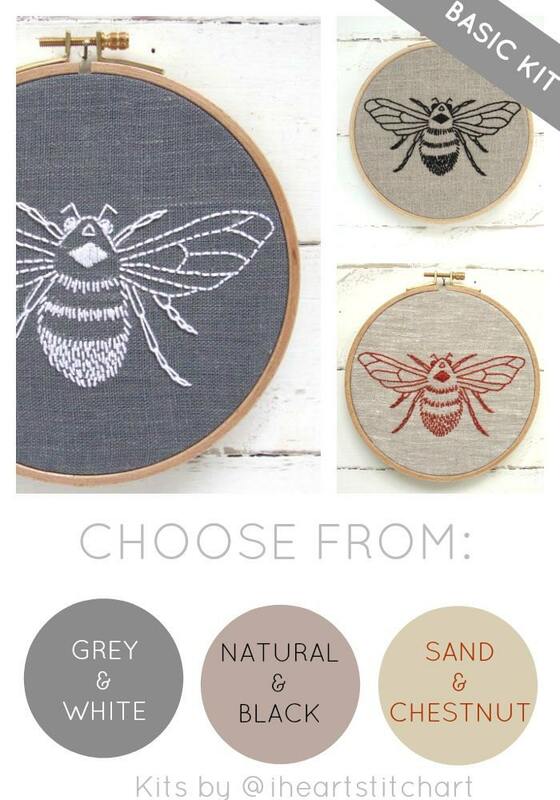 Choose from grey with white, natural with black, or sand with chestnut. 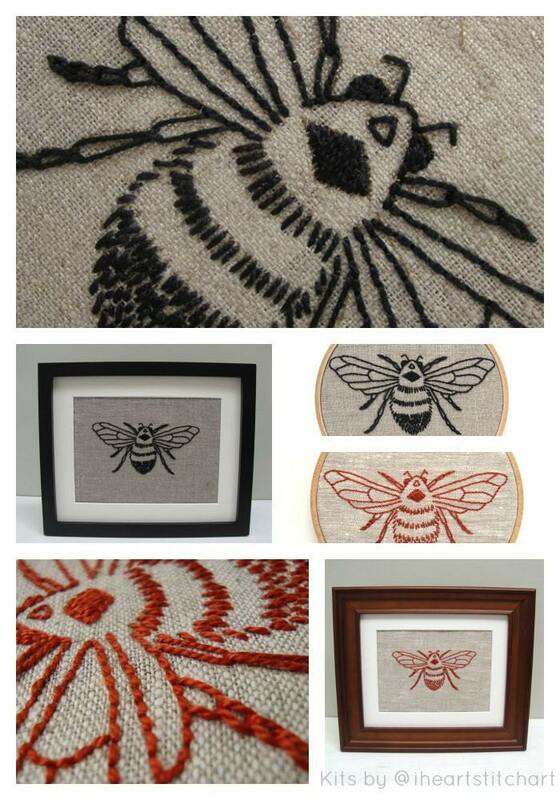 *All text, images, and photos are copyright iHeartStitchArt 2014/16. Thread is incredibly low quality and ripped immediately as I tried to make a knot. This happened again and again. Disappointed in this purchase. I love these kits! They are so fun to do and look fantastic when completed. This product is perfect for starters, like myself. 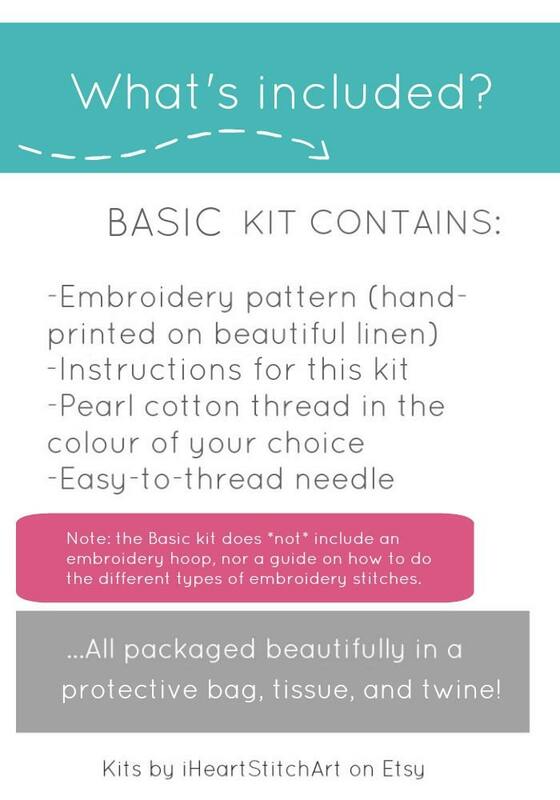 It came with a practice cloth that you can learn the different stitches with and I love how simple it is. Beautiful kit! 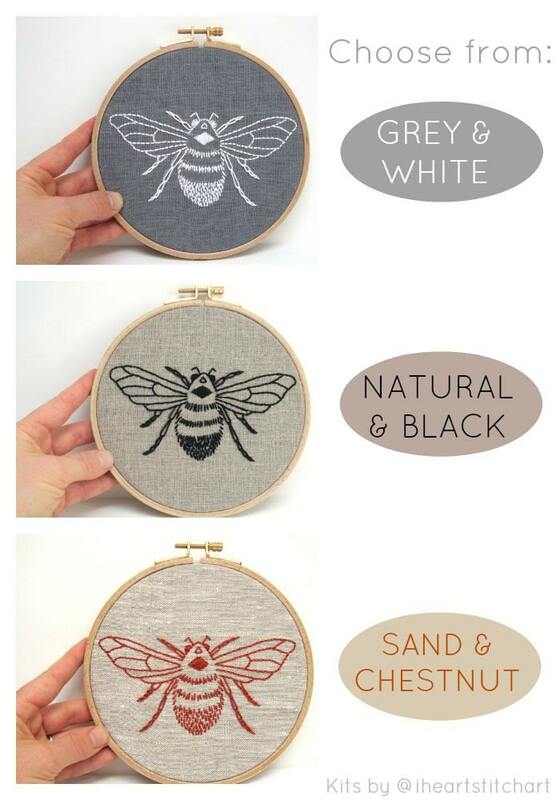 Great for beginners. Thanks so much.